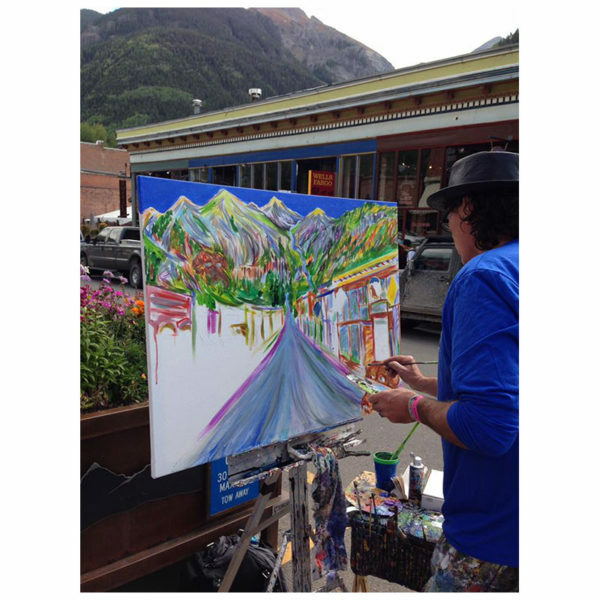 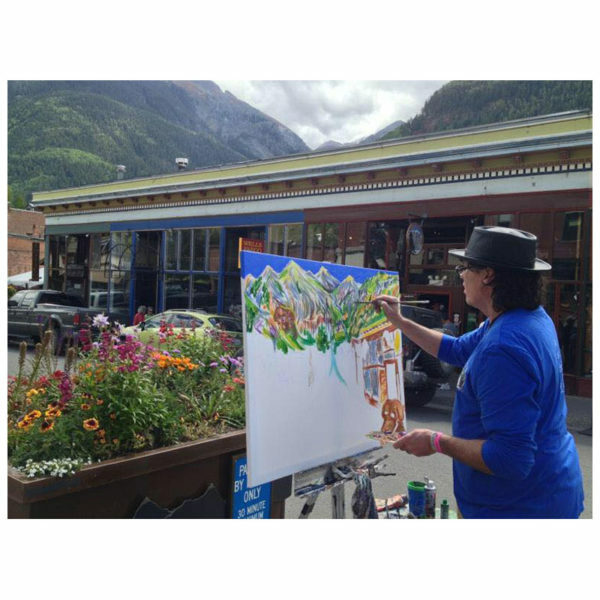 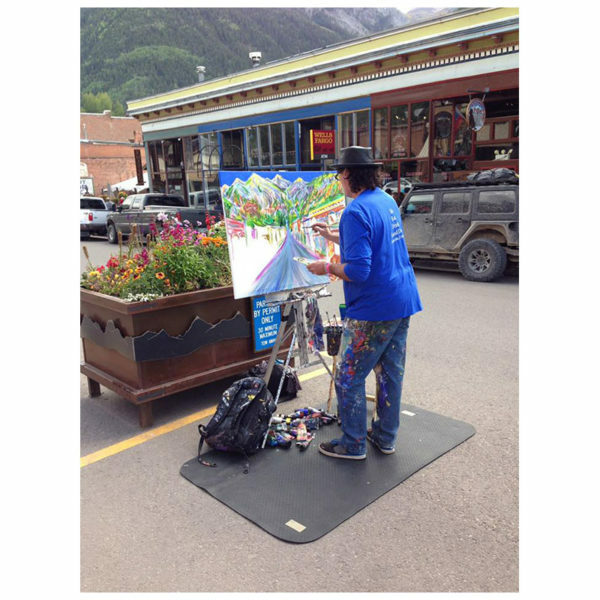 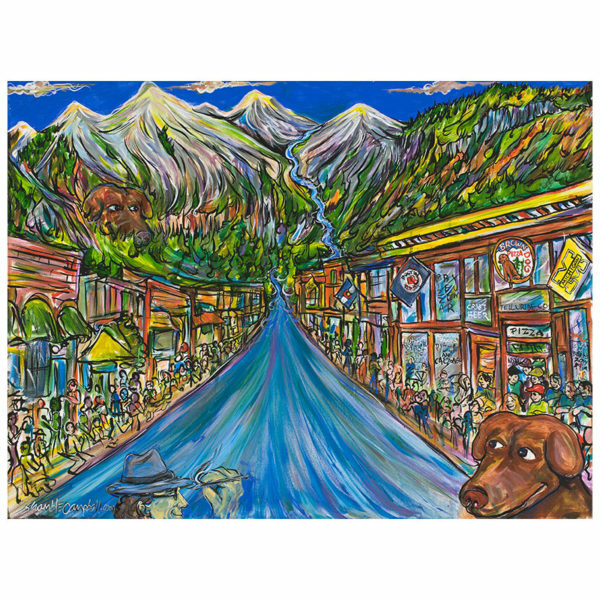 On September 14, 2014 Brown Dog Pizza commissioned local Denver artist and our great friend, Keith “Scramble” Campbell to paint a street scene that incorporates many of the things that make Telluride and the Brown Dog so awesome. 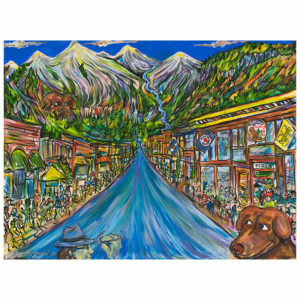 Printed using a Giclée canvas gallery wrap. 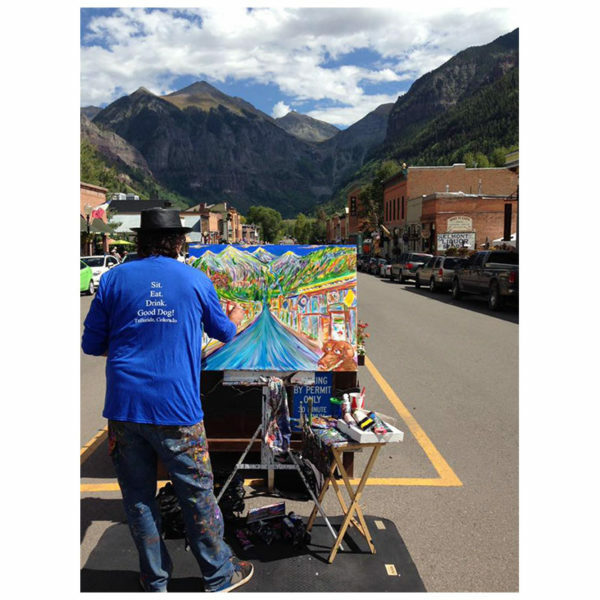 Learn more about this the painting, artist and the printing process by clicking here. Other custom print sizes are available. Please contact thedog@browndogpizza.com for more information.